First I would like to tell you about WordPress plugins or what are Plugins? As you, all are a little bit familiar with the software component known as Plugins. In WordPress, a plug-in (or plugin, add-in, add-on, addon, or extension) is a software component that adds a specific feature to an existing theme. When a theme supports WordPress plugins, it enables customization. 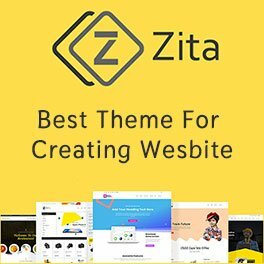 A WordPress theme is a preset package containing additional or changed graphical appearance details, achieved by the use of a graphical user interface (GUI) that can be applied to specific software and websites to suit the purpose, topic, or tastes of different users to customize the look and feel of a website. It’s all about the WordPress plugins which is used in any WordPress theme. Now I will tell you about my blog. In this blog, I am going to you best WordPress plugins which are used to build Contact Form and to generate leads in any website. Now you will think why you should use a Contact form or lead generator for any website? It’s very simple when your customer visits on your website and tries to contact your company or your client’s company. It’s important to provide multiple avenues for customers to contact you or your clients, but email is still one of the most convenient and reasonable ways for people to contact you. As Lead generation is a vital part of any business. Without lead collection, it’s going to be virtually impossible to discover new business opportunities and interact with potential customers. Lead Form Builder Plugin is a free WordPress plugin which is a contact form builder as well as lead generator. The plugin comes with nearly all field options required to create Contact form, Registration form, Newsletter and contain Ajax based drag & drop field ordering. By using this form you can create unlimited forms and display at a page. Your customer will easily contact you by using this form and your all the received data related to your customer will automatically save in your database for your reference in form of a lead. Create forms with 9 field types: text (name), email, url, number, text area (message), radio, checkbox, date, and dropdown. Use pre build forms or add your own. A contact form template is included. Send unlimited email notifications, including auto responders to the form submitter. Three lead receiving methods (Receive Leads in Email, Save Leads in database (you can see all leads in the lead option), Receive Leads in Email and Save in database). 24×7 support available for free product too. OptinMonster is an amazing free WordPress plugin which helps you grow your email list and get more subscribers with a pop-up and other types of high converting optin forms. OptinMonster comes with an easy to use form builder that allows you to create beautiful optin forms that are proven to convert. You can create various type of options including WordPress popup forms, floating header, and footer bars, slide-ins also known as scroll triggered boxes, sidebar forms, after post forms, in-line forms, mobile-specific forms, welcome gates and more. Build high converting forms in minutes, not hours. Convert abandoning visitors into subscribers & customers. Grab your visitor’s attention with a well-timed popup. Easily A/B test your ideas and increase conversions. Measuring your results has never been easier. Boost conversions with MonsterLinks 2-step optin technology. Double your email conversions with full screen Welcome Gate. Increase your mobile conversions with mobile-specific popups. Add highly noticeable floating bars to get more subscribers. Build your email list with polite scroll boxes. Add data-driven sidebar forms that convert. Get more subscribers with location specific in-line forms. Catch your visitor’s eye with MonsterEffects. Contact Form is undoubtedly the most popular free forms plugin with more than 18 million downloads in the WordPress Plugin Repository. It can manage multiple contact forms, and you can customize forms and any mail content flexibly with HTML. This plugin also supports Ajax-powered submitting, CAPTCHA and Akismet spam filtering. Contact Form 7 can manage multiple contact forms, plus you can customize the form and the mail contents flexibly with simple markup. The form supports Ajax-powered submitting, CAPTCHA, Akismet spam filtering and so on. Update of Ajax Loader which is Easily Customizable with CSS. HTML Mail have Customizable Header and Footer. Hidden Field Form-Tag and Its Option to Get Value from Shortcode Attribute. A pirate form is a free WordPress theme Pirate which is very easy to set up. You can quickly create an engaging contact form by using a shortcode and copying it where you want it to appear. Pirate Forms plugin allows you to customize everything you want. You can change the field labels and decide what message to tell your visitors when an error shows up. You can also decide which fields are required and which are not. It Avoids spam messages and makes sure the e-mails you receive are totally addressed to you. It comes with the SMTP option, you can be sure you won’t miss any e-mail from your visitors. The messages will be safely delivered from the source to your personal e-mail address. It’s easy to use this plugin. Easy to customize. Choosing the fields(required or not). It comes with the SMTP options which will make sure that you don’t miss any of the messages from your users. reCAPTCHA intregrated to secure your website. Store the contacts in the database. You can use the widget provided by the plugin. Incorporate it in the theme file. Huge -IT Forms is one of the most popular and important elements for the WordPress website because without Forms Builder you will not be able to keep in touch with your visitors, partners, and customers, this form comes with an easy filling form for submissions, delivery form or other types of forms. Its outlook is beautiful which attracts your visitors and give your site a professional look.It is very important to use good quality and good design Form Builder plugin.Need a simple configured and best functioning form builder, You can easily use this form which will give your site a professional and healthy look. There are no limitations to the number of forms,emails,fields or submissions. Ability to customize Form fields, delete, edit and hide. Forms builder provides with drag and drop functionality. Forms builder themes are fully customizable. Huge-IT Forms provides you with live preview function. Form has a General Option to manage more action. Form is easy to use, simple and very effective for any website. Form provides with Captcha Protection. Create mobile Ready and SEO Friendly forms for your website. User submission field of the Form Builder provides the ID of the submitter, user browser, user country,the submission date, form submitters IP address and the all form fields. With the Form your website becomes more professional and attractive. Well as you all know Contact form is very important and must be needed for every type of website. but before choosing any plugin you must have a look at the quality of any plugin, features of a plugin, and how convenient is to use that particular tool. All the above plugins are tested by thousands of WordPress users.I hope this blog will surely help you in choosing a contact form plugin for your website.